All the colors of summer are yours to explore! 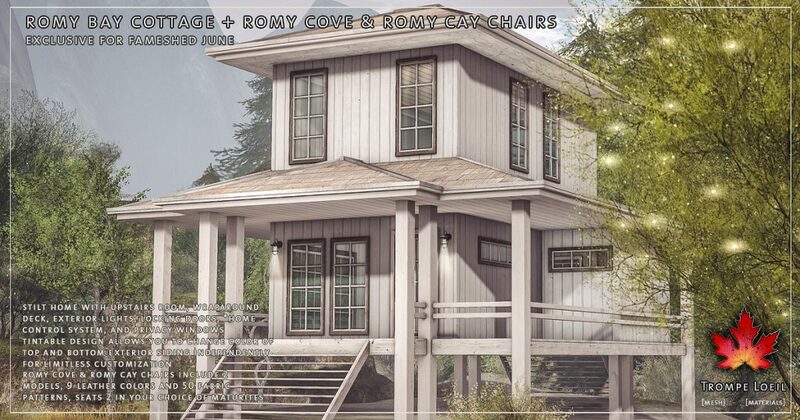 Trompe Loeil’s new Romy Bay Cottage and matching Romy Cove & Romy Cay Chairs give you the endless options you crave for summertime decorating! 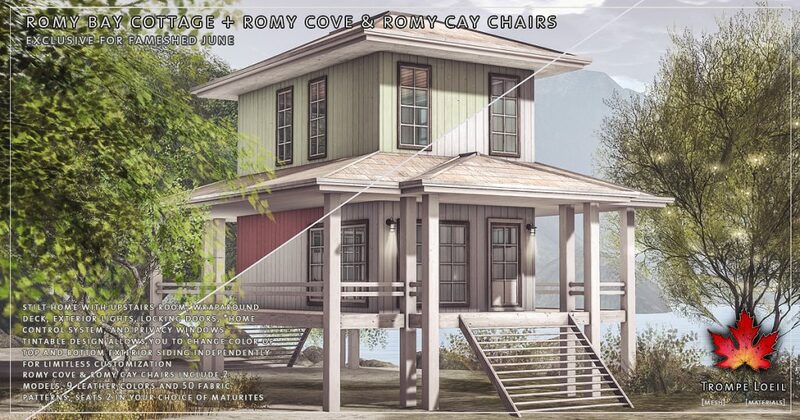 The Romy Bay Cottage is a 2 story stilt house perfect for the shoreline. Private upstairs room, wraparound deck, locking doors, privacy windows, our *home control system, and specially crafted tintable exterior siding panels for both floors – mix and match your exact favorite colors and create a unique curbside appeal that’s all your own! 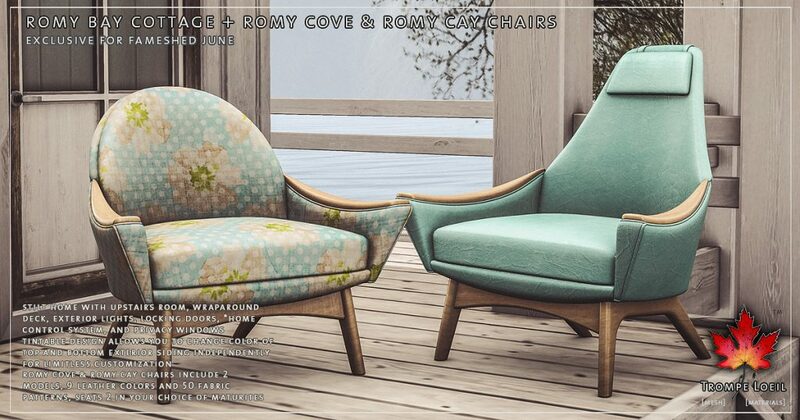 Plus, the Romy Cove and Romy Cay Chairs are a matched set made in design heaven – we include 9 leather colors and 50 fabric patterns for each model, in your choice of maturities for singles and couples. 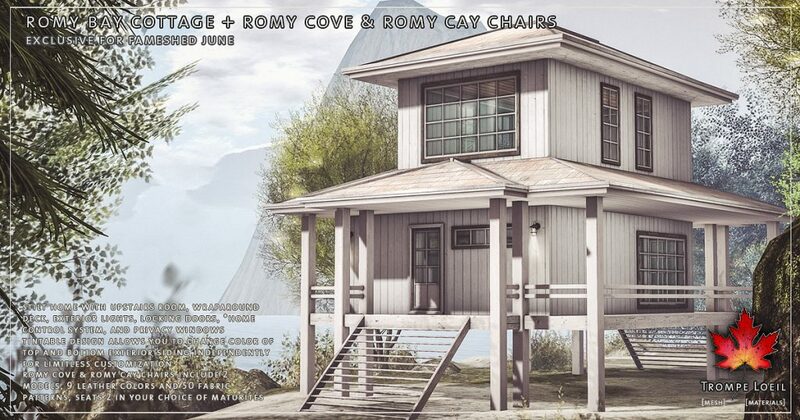 Only at June’s FaMESHed round!